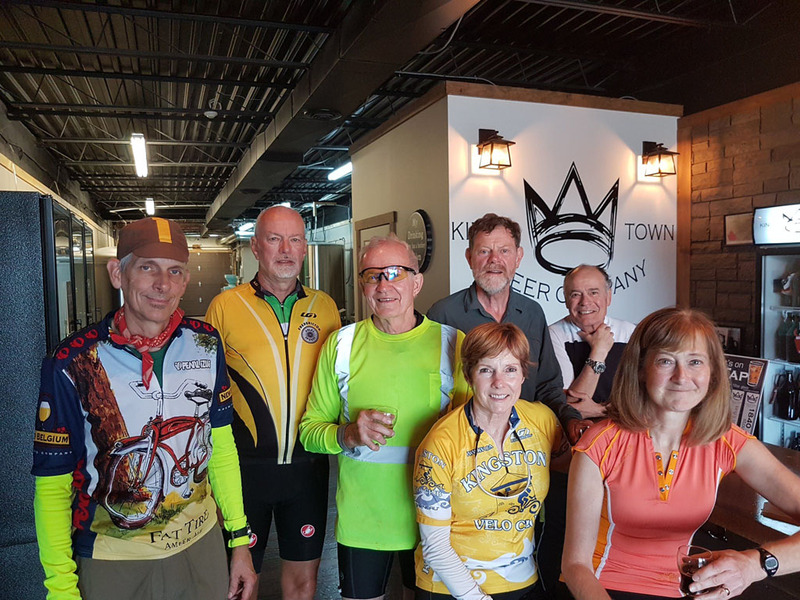 The Kingston Velo Club (KVC) is a not-for-profit organization dedicated to promoting recreational cycling in the Kingston area. The KVC is Kingston’s recreational cycling club. It provides a range of cycling experiences for people with different levels of skill and fitness. Short, easy tours, longer, more challenging rides, and personal fitness challenges are among the variety of cycling activities conducted by the club. The Kingston Velo Club has members from all age groups and all walks of life. Fitness level is not a barrier to joining. Some members enjoy the challenge of longer, faster rides, while others prefer more relaxed trips which feature pleasant sights and good rest stops. Click on Ride Ratings above for more information. The KVC has over 150 members and offers rides every day of the week except Monday. On Saturday and/or Sunday full day tours take place in our lovely countryside, often with a choice of levels. Long weekends feature overnight excursions and a ‘weeklong’ takes place in the summer. Refer to the Calendar for time, date and details for scheduled rides and events.